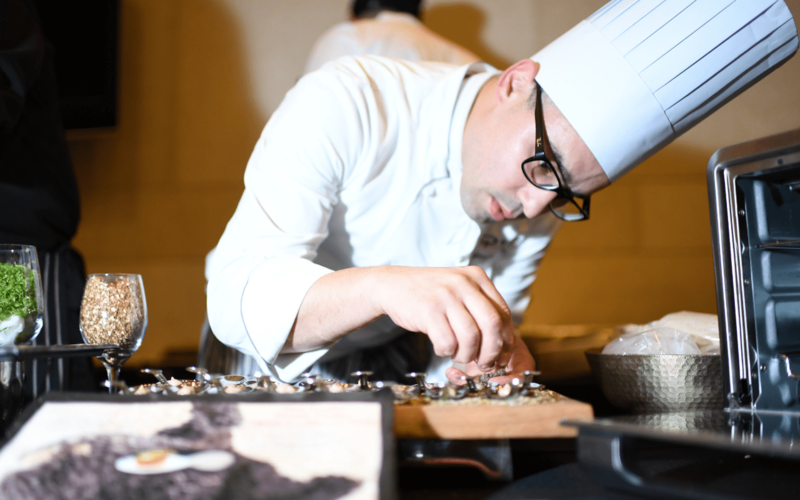 The Truffle Masters 2019 event brings together 26 of Houston’s most notable chefs for a culinary competition unlike any other in the Bayou City. Now in its fifth year, it is presented by fine ingredients importer and founding business DR Delicacy. The 2019 event is at The Revaire, 7122 Old Katy Road, from 6 to 10 p.m. on Monday, January 28. Doors open at 6 p.m. for the VIP pre-party hosted by Gloria Ferrer and at 7 p.m. for general admission. Tickets are available for purchase now online here. This year’s proceeds benefit Second Servings of Houston, which rescues prepared and perishable foods and redirects them to those in need. Perigord winter black truffles are beloved the world over for their versatility in the kitchen and unrivaled flavor on the plate. Depending on their region of origin, these earthy treats may contribute notes of cocoa, licorice, hazelnuts, mint and mushroom. DR Delicacy sources these treasures from Italy, France and Spain, making them available to chefs and home enthusiasts via its web site. 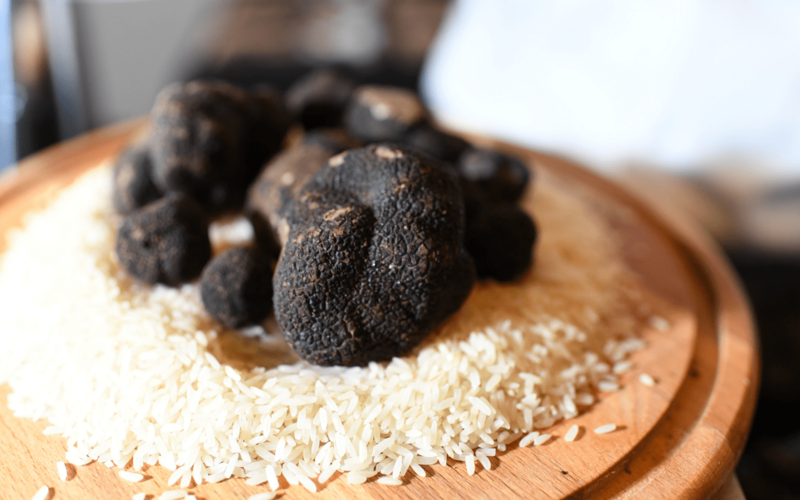 Each chef competing in The Truffle Masters 2019 event receives 16 ounces of black truffles from France to incorporate into his or her creations. The elegant evening offers ample tastings for guests at all ticket levels. General admission tickets to this luxurious event are $195 per person and includes tastings of black truffle-accented dishes and desserts, premium beverages, entertainment, an auction and raffle. Doors open at 7 p.m. for general admission. Next-level VIP tickets are $295 per person and come with exclusive extras such as the VIP pre-party, which includes interaction with judges, chefs and media, plus luxe beverages, a VIP gift bag, private VIP bar during the event and bites from The 2018 Truffle Masters winner Austin Simmons of TRIS. Doors open at 6 p.m. for the VIP pre-party. Raffle tickets start at $100 for a chance to win premium goods such as the signature Valobra Gold Truffle Cuff Links or jewelry bags filled with high value items from the 2019 Kendra Scott Collection. As of press time, nine judges will award this year’s Truffle Master. They are Houston food, media, and hospitality personalities Marcy de Luna (Houston Chronicle), Antonio Gianola (Houston Wine Merchant), Adrian Perez (owner of Complete Eats), Courtney Zevala (reporter/anchor at KPRC-TV), Megha Tejpal (The Food Network), Cleverley Stone (Cleverley Show, founder of Houston Restaurant Weeks), Eric Sandler (CultureMap), Mai Pham (Houston Press, Houstonia, Texas Highways, Forbes Travel Guide), Kate McLean (executive chef, freelance journalist, bartender and wine enthusiast) and Phaedra Cook (publisher & editor of Houston Food Finder). Complimentary valet is provided for all attendees by BMW of West Houston. Elegant attire, please. For more information and to purchase tickets, please visit The Truffle Masters 2019 website here.